Condemning Friday's Paris terror attacks and sending his condolences to the French people, Syrian President Bashar al-Assad noted that the attacks were reminiscent of the daily terror and turmoil faced by the Syrian people over the past five years through the country's violent civil conflict. "The savage terror France suffered from yesterday is what the Syrian people have been enduring for over five years," Assad said, cited by French radio station Europe1. On Saturday, the Syrian president received a delegation of French parliamentarians, intellectuals, and media figures, headed by Les Republicans National Assembly MP Thierry Mariani, SANA reported. Speaking with his guests, Assad noted that "terrorism is one field in the world and terrorist organizations do not recognize borders." As a result, "the terrorist attacks which France was subjected to on Friday cannot be separated from the attacks which took place in Beirut [on Thursday] and from those which Syria has faced over the past five years." Conveying his condolences to President Francois Hollande and the French people, the Syrian president emphasized that the fight against terrorism will be long and difficult, and that the international community must offer a united and strong response to the threat. The president noted that unfortunately, "wrong policies adopted by Western states, particularly France, toward events in the region," including Paris's "ignorance of the support of a number of its allies to terrorists, are reasons behind the expansion of terrorism." According to Assad, France and other Western nations must now work to "fix this mistake, and to take effective measures to stop logistical support for the terrorists, through to their utter destruction." For their part, the French delegation voiced their sympathy for the suffering of the Syrian people, affirming that they would pass on what they had seen during their visit to the French public, in the aim of creating a more realistic picture of what's going on in Syria. Ahead of their meeting with the president, the delegation toured a hospital in Damascus, speaking to injured servicemen. 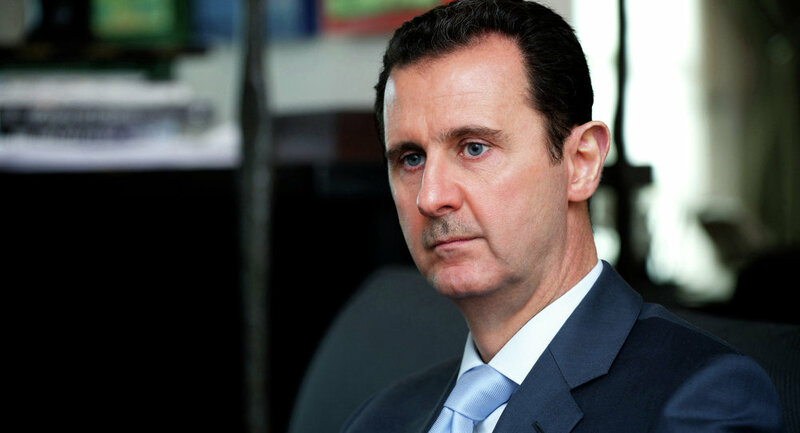 Commenting on the trip, MP Nicolas Dhuicq told Sputnik that Assad had told the delegation that "we all need to be strong and to act together in the fight against terrorist groups," given that "this tragedy has affected everyone –that everyone can become the target of the terrorists." Near-simultaneous gun and bomb attacks struck seven venues in Paris on Friday, killing over 120 people and wounding scores of others. The attacks prompted condemnations from across the globe, including Russia and Syria. The massacre overshadowed talks on Syrian reconciliation in Vienna. Russian Foreign Minister Sergei Lavrov and US Secretary of State John Kerry issued a joint press statement, Kerry noting that what the world is "witnessing the kind of medieval and modern fascism…which has no regard for life, that seeks to destroy, create chaos, disorder and fear." The Syrian Foreign Ministry strongly condemned the attacks, noting that "Syrians grieve and sympathize with the French people and the victims' families, and wish a speedy recovery to the injured. The Syrian people, having themselves suffered for five years from the crimes of terrorists and religious fanatics, understand more than anyone the tragedy which took place in Paris."